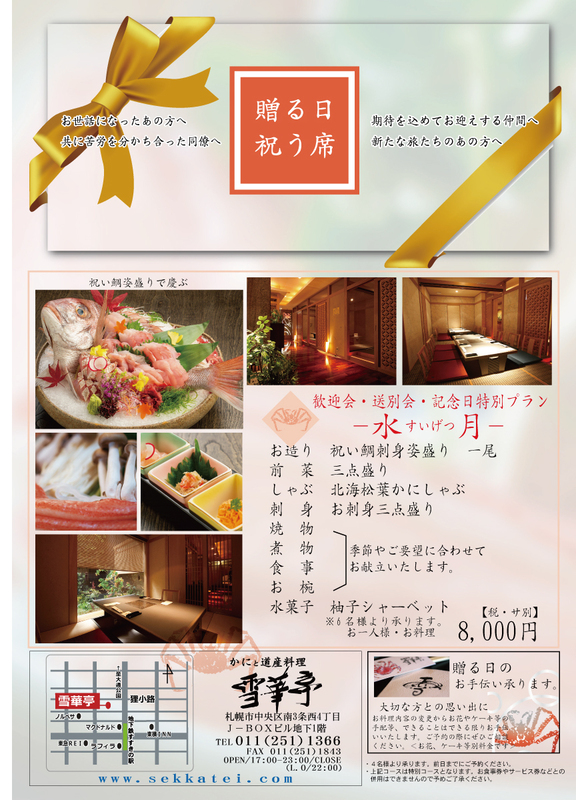 "Kani and Hokkaido Cuisine Sekkatei"
You can enjoy it slowly in a Japanese-style Japanese room full of emotions. 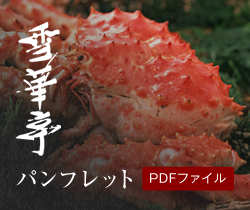 Because it is Hokkaido it is the gastronomy and space where you can taste. Please spend your time in mind. And we offer a lot of sake. Please enjoy it to your heart 's content. Even if the scenery along the way changes, the true heart which remains unchanged is here. We value and hospitality honorably with the sum of people. 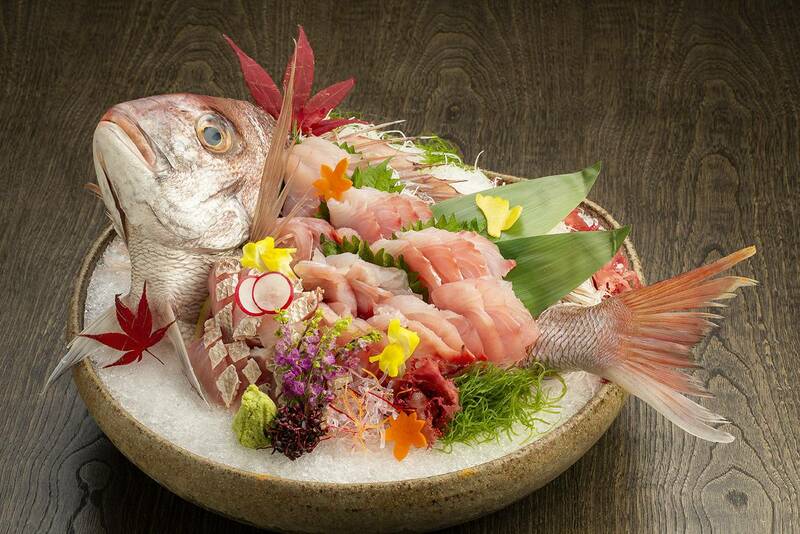 Please spend a relaxing time at Yukaekatei tonight with a wonderful time with important people. The price shown is without tax. Consumption tax and 10% service fee will be added to the price shown. ※It is limited to 2 people.